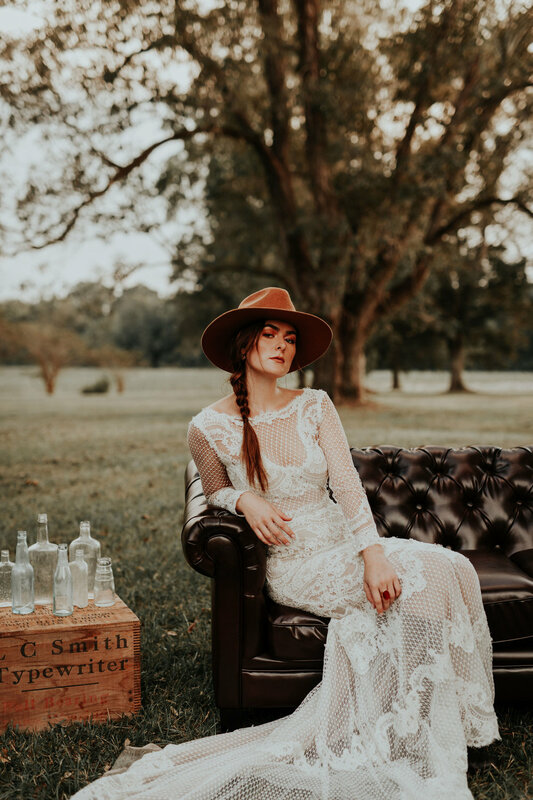 From the vintage inspired lace bridal gown to the lush color scheme, this styled shoot embraces the best of Southern charm with a side of mystery. 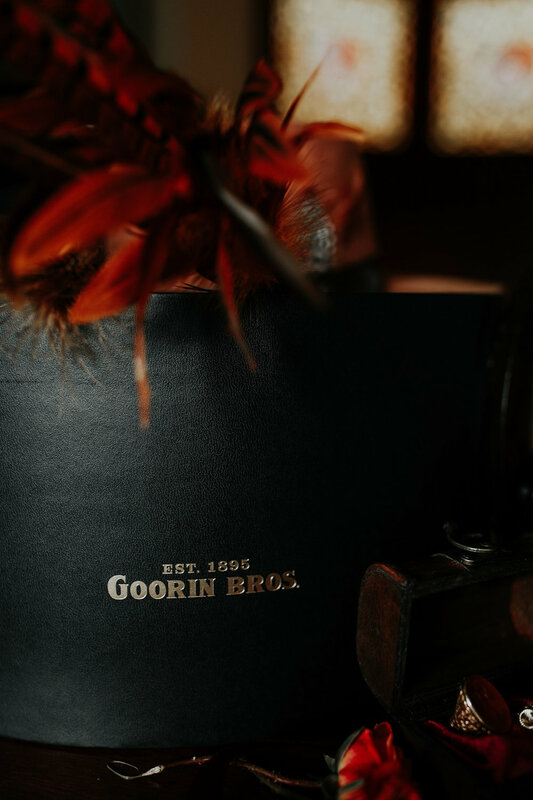 It’s almost as if you can feel there’s a family secret around each corner waiting to be discovered. 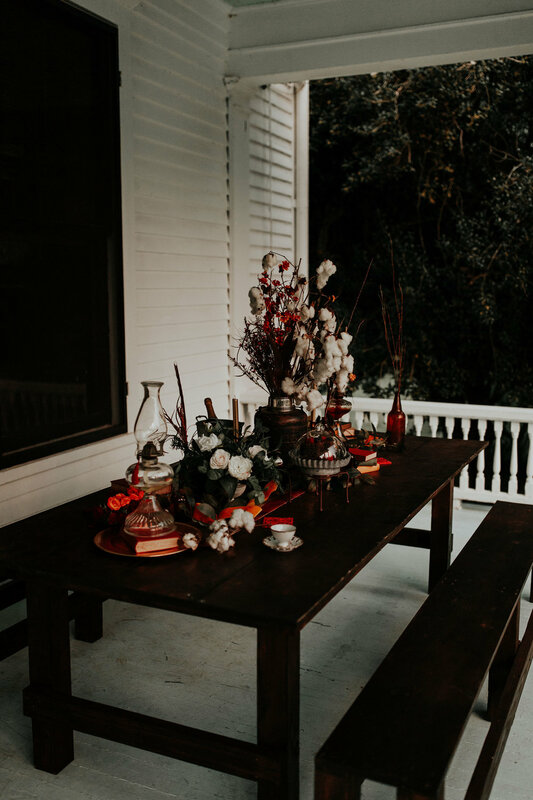 Photographer Carrie Elizabeth teamed up with a host of talented vendors to create this memorable shoot that perfectly channels William Faulkner and Flannery O’Connor. 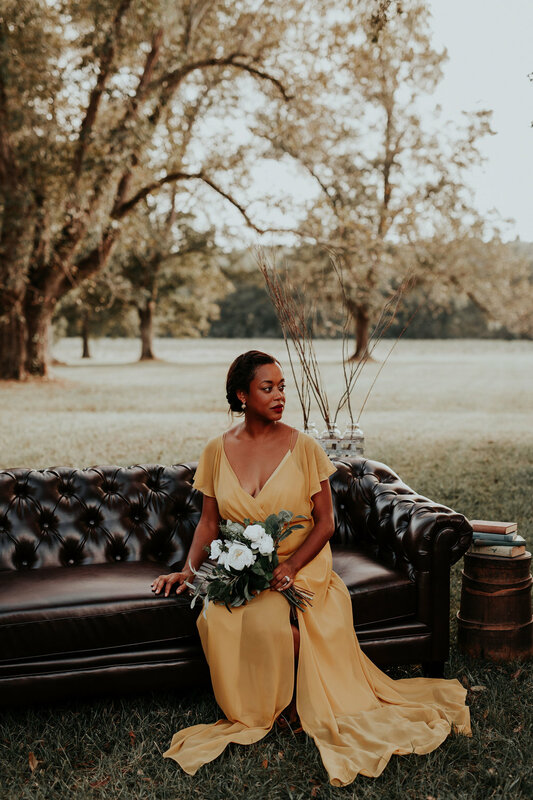 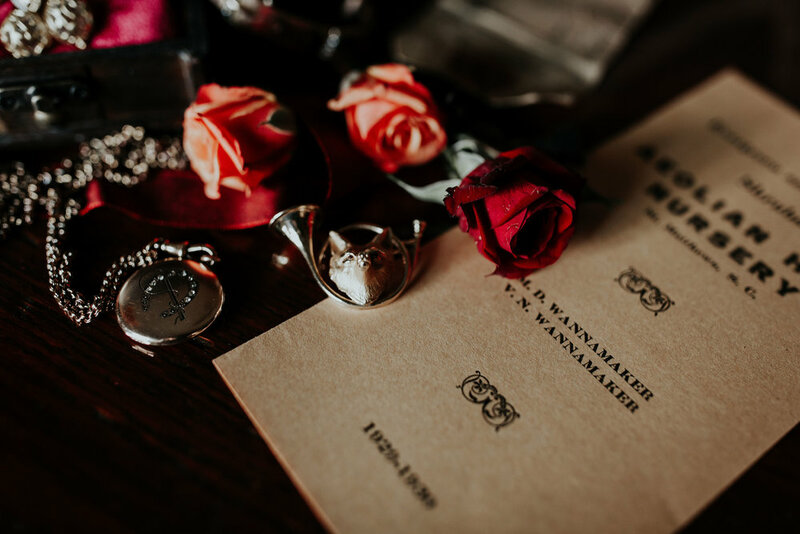 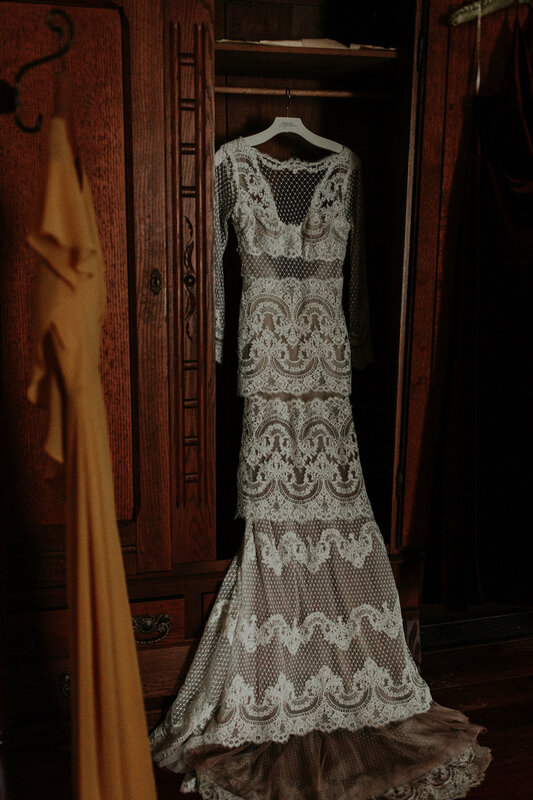 It serves as an ode to the fact that weddings don’t have to be fairy tale themed to still be stunning, and makes us want to lean into our mysterious side!